Have you ever had a really great mail day? Of course we all get loads of junk mail, but recently I had what I would consider to be one of the best mail days of my whole life. Right before I left for my Hawaii trip (which was great by the way, thanks for asking) I was on twitter. 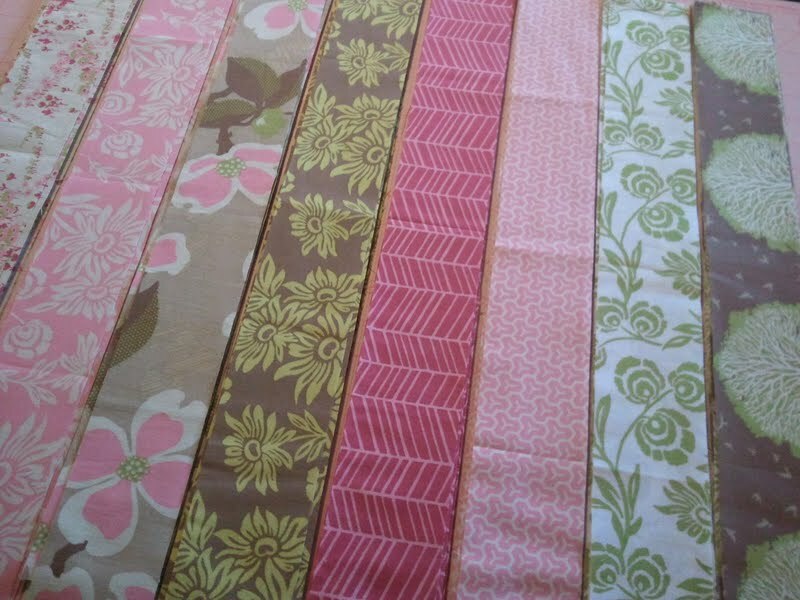 I merely mentioned the color pink, and here comes Jennifer Paganelli of SisBoom Fabrics (@SisBoom on twitter) “Did someone say pink?” Next thing I know I’m being offered a care package of pink scraps from her fabric lines! Woohoo! I left for my trip the next day. 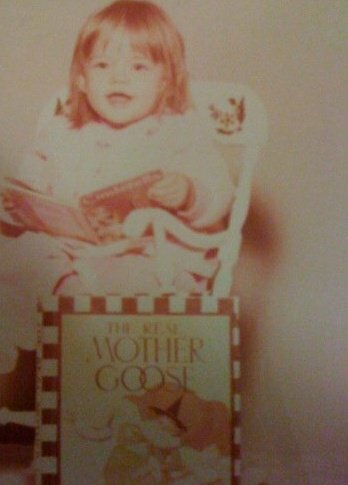 When I got home a week later I came home to a big cardboard box on my kitchen counter. Want to see what was inside? I love her blog. It has so much vibrant color, and inspiration galore! You can also pre-order signed copies of her book. How cool is that? 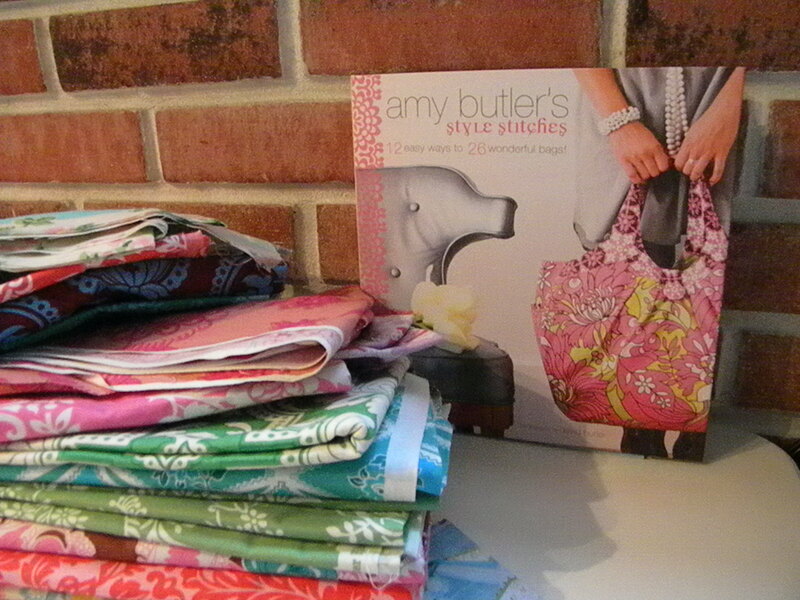 As if the stack of fabrics I got from Jennifer weren’t enough, I also got the book “Amy Butler’s Style Stitches” from my grandma. 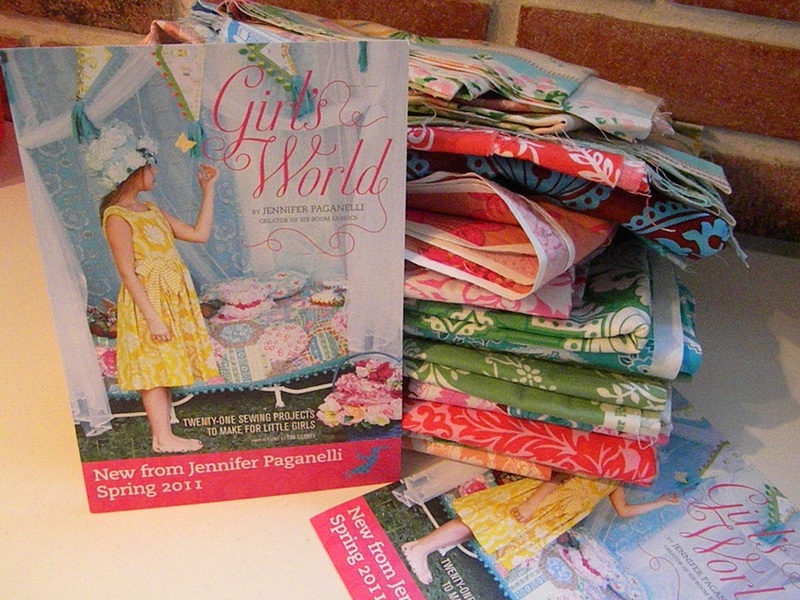 These fabrics will be perfect for making one (or several) of the bags featured in Amy’s book. I have so many projects going on at the moment, but I think I might put them all aside to make something special just for me with my new goodies! Like I said, best mail day ever. 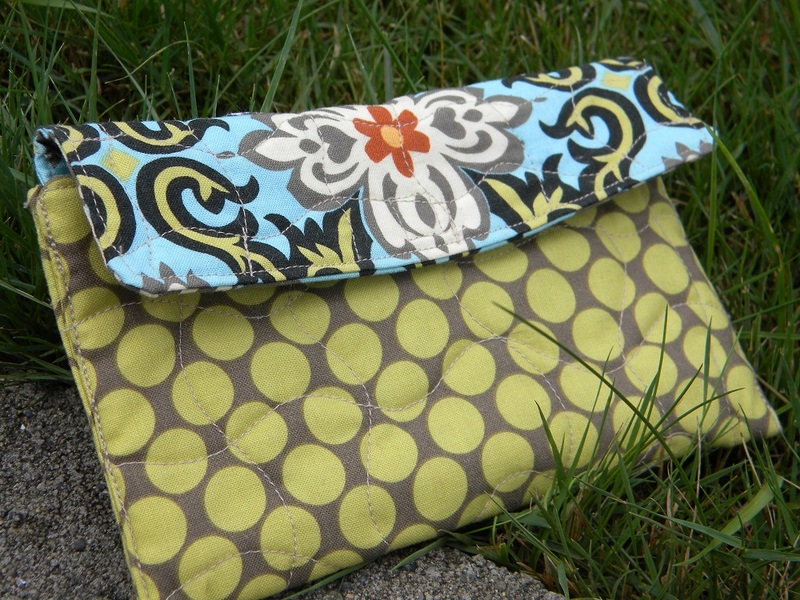 Lizze and I went to the sewing expo at the Puyallup fair a couple of months ago. My husband told me that I could purchase ONE quilt kit. Only one! I really had to shop around to decide which kit I wanted more than any other. 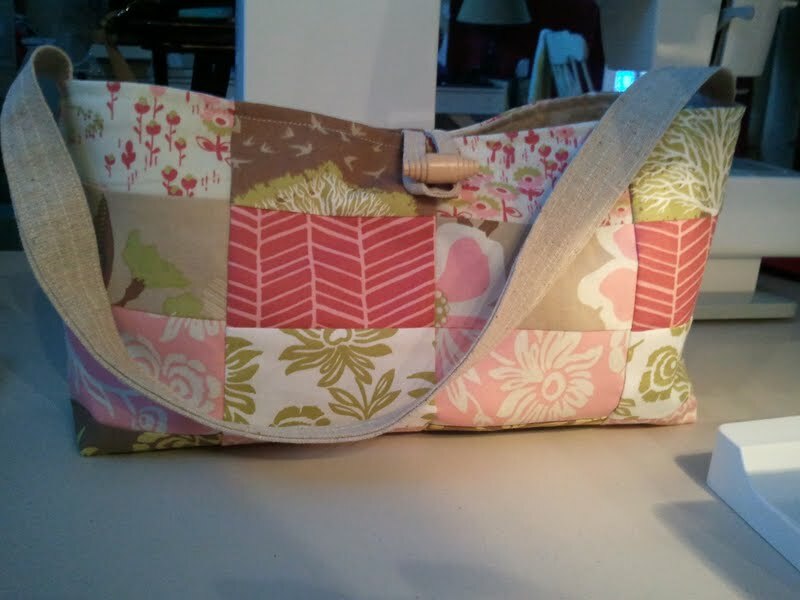 The kit I finally chose was from the Quilting Loft booth. The Quilting Loft is an adorable quilt shop in Ballard, WA that we had the pleasure of visiting during our shop hop last summer. The owner is a young lady, like us, and incredibly friendly. If you are ever in Seattle, drive the extra 5 minutes to Ballard and visit this shop. You won’t be disappointed! 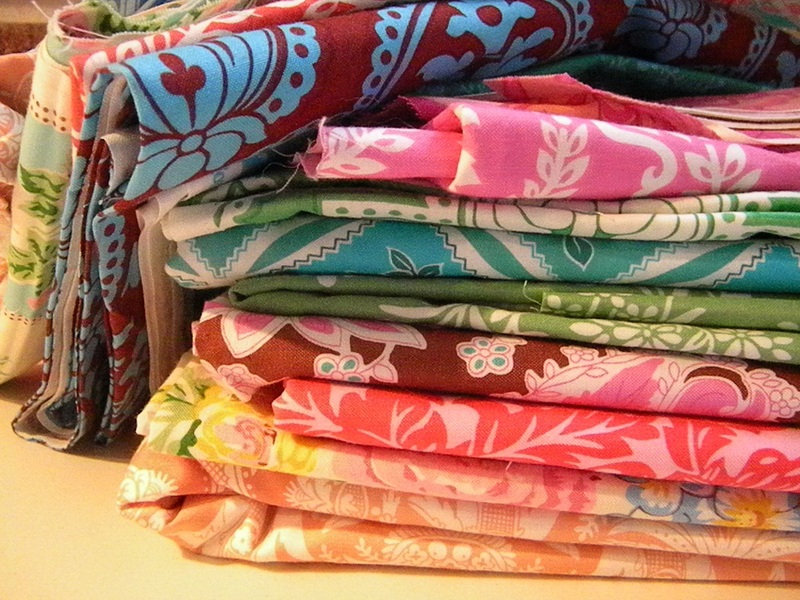 After cutting out all of the pieces for this quilt, I had several scraps left over. I am a tad bit obsessive when it comes to scraps. I hoard them. I always feel like I can use them to make something else although I rarely ever do. They just sit in my scrap bin and mock me. This time I made something with the scraps before I made the quilt. 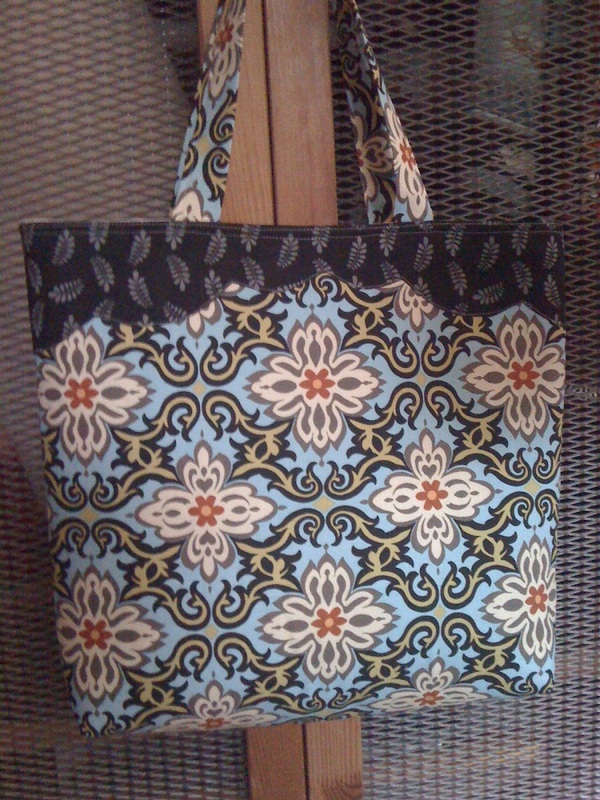 I think this little bag turned out pretty nice, but I really should have made it a little bit bigger. Here are the blocks all laid out and ready to be sewn. The picture quality isn’t that great. I took the photo with my cell phone. My good camera has been acting up lately and I can’t get it to connect with my computer. 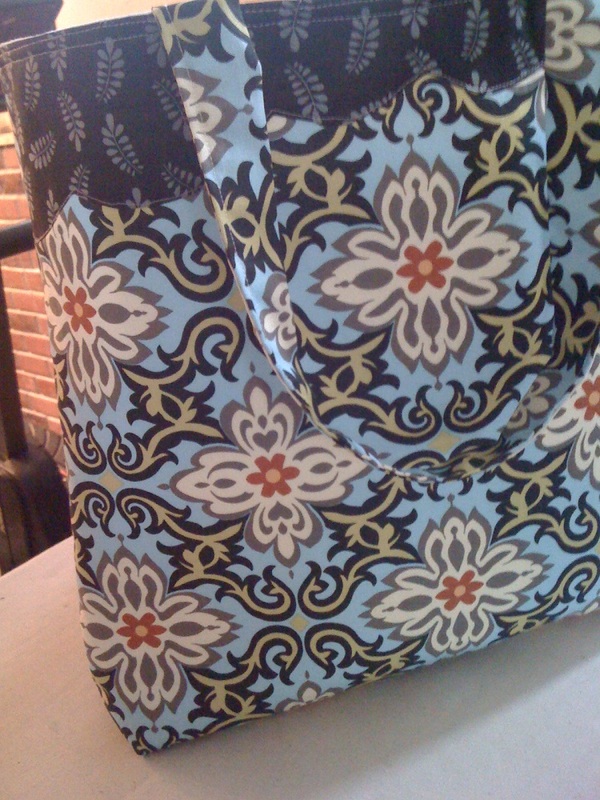 I think you get the gist of the pattern I’m going for though. I think it’s turning out quite well. 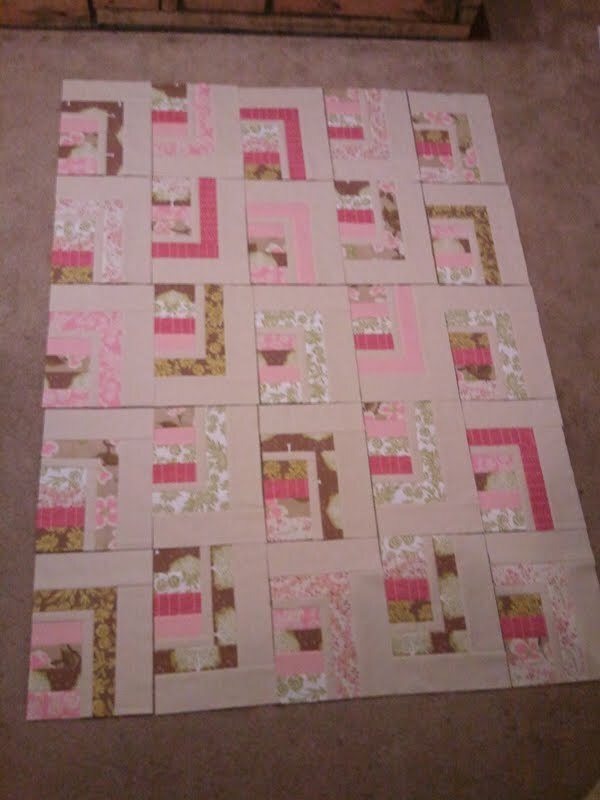 After the blocks are sewn together, I have a beautiful border to add to it as well. And wait until you see the fabulous print I have for the binding! It’s my favorite. I hope everyone is having as wonderful a start to their New Year as we are. 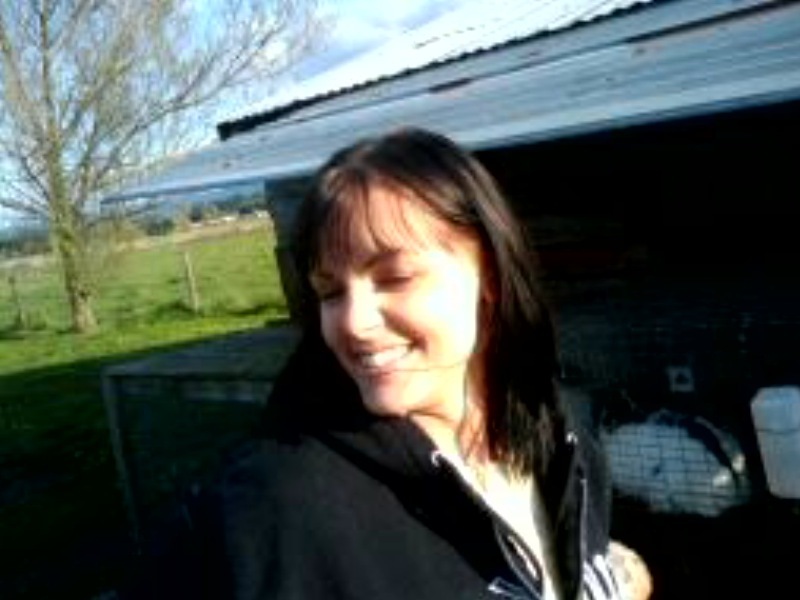 2011 is gearing up to be great for us. We have had 4 sales in the shop since the new year. It may not sound like much, but to us that’s a big deal. If the year continues like this, I may actually be able to make a real job out of this!